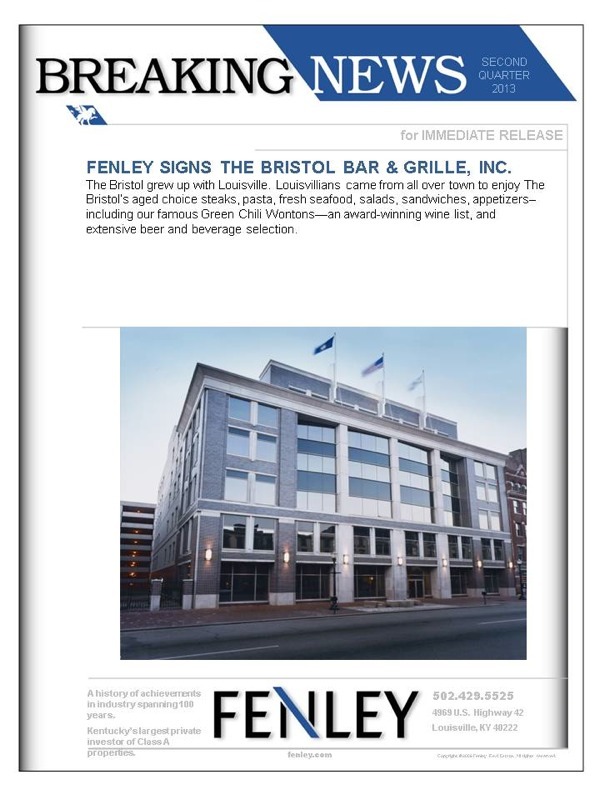 Fenley Signs The Bristol Bar & Grille, Inc. The Bristol grew up with Louisville. Louisvillians came from all over town to enjoy The Bristol�s aged choice steaks, pasta, fresh seafood, salads, sandwiches, appetizers�including our famous Green Chili Wontons�an award-winning wine list, and extensive beer and beverage selection.